Page 12 (re Berlin studio): "A balding man and his wife sat smoking heavily." Elfriede Fischinger never smoked, and Fischinger's family states that he only occasionally smoked a cigar. Though this is cited by implication to Moritz's Fischinger biography, this detail does not appear in Moritz's book, nor does the note by Sito on page 13 of Fischinger's agent "sneaking a message to him" about a Paramount phone call. Page 12: Re Fischinger in his Berlin studio in 1936, Sito states he was surrounded "by beautiful paintings, prints, and sketches in the twentieth-century abstract expressionist style." Correction: Since Fischinger didn't begin painting on canvas until after his arrival in Los Angeles in 1936, The Fischinger Trust states it is extremely doubtful his Berlin studio could have been full of paintings. And even more remarkable that in 1936 Berlin, it could be full of abstract expressionist work (generally acknowleged as an American post-WW2 art movement developed in New York). Page 16: "The Museum of Non-objective Art." Correction: It was The Museum of Non-objective Painting. Page 19: Re Belson, Sito states, "He bought an old X-Ray machine and adapted it to film use. His first film with it, Transmutation (1947)...." A number of authors (Youngblood, Moritz, etc.) have published, and Belson has verified, that his first films were made with hand drawn and painted traditional animation techniques. One must question whether this special Xray rig Belson used for later films was actually used for his first hand drawn animated film. Page 20: Re Harry Smith, "who had helped design the Folkways Anthology of American Folk Music." Correction: Folkways released Harry Smith's Anthology in 1952, which was assembled and edited by Smith from his personal collection. Smith did far more than "help design" this seminal anthology. Source: Harry Smith Archives, numerous texts on Smith. Page 20. Re Hy Hirsh's films. Sito writes "a full acount of his filmography is difficult," yet Hirsh wrote a filmography (CV) listing his works, which has been available and online for well over a decade. Both Reed and Keefer have published this filmography over the last 13 years as well (Please see filmography on our Hirsh site for details). Page 21: Re Bute's film Abstronic; this film uses two pieces of music, one by Copeland as noted, and the other is by Don Gillis, "Ranch House Party." Page 25: James Whitney, regarding six films made "by the time of his death in 1982...including Kang Jing Xiang (1982)." Correction: Kang Jing Xiang was completed posthumously according to James' instructions, by Mark Whitney and William Moritz. Source: Mark Whitney, William Moritz. Page 31. "John Stehura's seminal film Cibernetik 5.3 (1965-1969)." Correction: This film was made from 1960-1965. Source: John Stehura's Cibernetic Cinema site, and numerous distribution and exhibition documents over many decades. Same error on page 280. Page 272: Mary Ellen Bute did not work at Bell Labs, as is stated here. This is perhaps a confusion with Lillian Schwartz. Page 292, note 7. Oskar Fischinger made a TV spot for "Mad Man Muntz" and Muntz TV c. 1952, not 1960 as stated. Page 324, Two incorrect citations for texts by William Moritz, may be typos:. The first says "Hy Hirsch" but his name is actually Hy Hirsh. 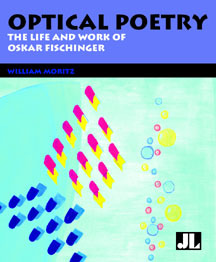 The second cites the name of Moritz's Fischinger biography incorrectly, it is "Optical Poetry: The Life and Work of Oskar Fischinger," not "Works" as listed here. Lütticken, Sven. "Moving in Circles" in Texte zur Kunst, Nr. 89, March 2013. Numerous errors regarding Fischinger; this review was not fact-checked. Basic facts of exhibition design, preparation, and history are inaccurate. p. 184 - Re claim that Disney material could not be used for an exhibition. Center for Visual Music does not own rights to, or license, the Disney film Fantasia, and did not discourage its screening or use. In fact, CVM also recommended obtaining the clip from Pinocchio of the Blue Fairy's wand to further illustrate Fischinger's work at Disney; neither this nor Fantasia was chosen for licensing by EYE, likely for budgetary reasons. p. 184 - Contrary to author's assumption and claims, CVM was extended a far smaller role in determining the exhibition’s final contents, design, and form than we had been promised; CVM’s ability to provide relevant exhibition expertise was severely limited. Exhibition design was completely done by EYE and its Director of Exhibition, with no collaboration with CVM. Opinions and goals attributed to Keefer are not cited as to source, are not the result of any interview, emails or conversation with author, and are not factual. The new Oskar Fischinger book, Oskar Fischinger: Experiments in Cinematic Abstraction, does include an essay arguing that Fischinger is misconstrued, that visual music does not equal synaesthesia. This essay however is by Paul Hertz, not by Keefer. p. 186 - On Motion Painting no. 1: "the final painting hardly justifies a minute examination of its evolution." As this is not a film about a single final painting, the author appears to have missed the point. p. 187 - Regarding Raumlichtkunst, in addition to the Whitney Museum, Raumlichtkunst was exhibited at Tate Modern, London from June 2012 - March 2013. It was at Palais de Tokyo, Paris from June through September 9, 2013 and pending at several other museums. It is only exhibited at museums that agree to meet CVM's installation and exhibition conditions. In summary, a critic is not absolved of the responsibility to document claims made about a curator, a curator's statements, or about an exhibition, and to write about these ethically. Publications such as Texte zur Kunst also have a responsibility not to publish blatantly false claims. Zinman, Gregory. "Analog Circuit Palettes, Cathode Ray Canvases: Digital's Analog, Experimental Past" in Film History, Vol 24, 2012. Error in Footnote 32, page 154. Original: "Charles Dockum produced a manifesto for his Non-Objective Kinetic group, a project begun by the Guggenheim's Hilla Rebay that was intended to house a collection of kinetic sculpture and abstract animation by the likes of Lye, McLaren, Francis Lee, and Dwinell Grant, and included Bute as a member." Cited from Peter Weibel, "The Development of Light Art" in Light Art from Artificial Light, 211 (ZKM ex. cat.). Correction: This manifesto was by Oskar Fischinger, not Charles Dockum. Rebay chose Fischinger to lead and assist with plans for a proposed Film Center; the title Non-Objective Kinetic Group was Fischinger's idea and proposal, not used by Rebay or Guggenheim. These filmmakers were not specifically named in the documents or correspondence by Fischinger or Rebay on this group or the Film Center. Rebay however did support and collect films by Fischinger, McLaren, Grant, The Whitney Brothers and others. Source: Handwritten manifesto for the group and the proposed Film Center, by Oskar Fischinger, collection of Center for Visual Music; see also William Moritz's Optical Poetry. Exchange and Evolution: Worldwide Video Long Beach 1974-1980. Huffman, Kathy Rae, ed. Long Beach Museum of Art, 2011, ex cat. Errors re Oskar Fischinger. Fischinger was not "indentured" to Paramount for many years, as stated. He resigned and left the studio within his first year of work (resignation letter online). Allegretto was not "an early color film produced at Paramount" as stated in the essay by Huffman, p. 105. Fischinger resigned because Paramount would not allow him to print in color the film he'd been hired to make there (which was then called Radio Dynamics). The year for Allegretto stated here on several pages (105, 154) is also incorrect for this film. Allegretto was completed in color seven years later, in 1943. The name of the studio he worked for in 1936 was Paramount Productions, Inc. or Paramount Pictures. His early series of Studies were not originally "aimed at advertising" as stated here; they began as his personal experiments. Read more about Fischinger's series of Studies in the Film Notes section of CVM's Fischinger research pages, and in Moritz's Optical Poetry biography of Fischinger. Regarding the statement that Fischinger is well known for his "animation sequences in Fantasia." He did not actually complete any sequences for this film, he resigned when his designs were substantially altered. While his influence can be seen in the film, his actual work cannot. Young, Paul and Paul Duncan, Ed. Art Cinema. Taschen, 2009. Page 32. Thomas Wilfred did not make cinema. Page 52. Fischinger’s series of Studies between 1929 and 1932 were not “often shown in large concert halls with live musical accompaniment” as claimed here. That would have been an exceptional occasion, and no records of this have been found anywhere in Fischinger's papers or clippings, nor in the research of German film historian Jeanpaul Georgen; the Studies however were actually often screened in first run movie theatres before a feature film. (See Moritz, Optical Poetry or Film Culture). Page 119, description of Vortex Concerts. Belson confirmed he did not use overhead projectors and film loops at Vortex as stated here. He is not a “pioneer” of overhead projectors. The Vortex Concerts didn’t continue into the early 1960s; they ended in 1959 (for sources, see Vortex below in Section C: Common Errata). Page 190, Belson was not the producer or editor of his film Epilogue (2005); he was the director. The producer was Cindy Keefer and the editor was David Lebrun (see on screen tail credits for Epilogue, on the Jordan Belson DVD). Rees, A. L. A History of Experimental Film and Video. London: British Film Institute, 2008. Page 58. Rees writes about Fischinger, "...like his fellow-exile Len Lye, his work became more purely absolute as his commercial career foundered (Fischinger's watershed crisis was seemingly Disney's rejection of his abstract designs for Fantasia)." In fact, Fischinger had been making absolute and abstract films since approximately 1920, well before he made any commercials, and nearly two decades before the Disney incident. This excellent biography unfortunately contains some errors and even some "elaborations." Some material has been found to be incorrect through later research or information from his papers, his children and German relatives. Kreise (1933-34). Re Moritz's claim that it was the first color film in Europe. Though it was certainly one of the first, evidence has not been found to support the claim of "first." Page 12. "...in a letter Oskar says Erich Korngold was composing a musical score for Fieber I, II, III (Fever)." This letter has not been found in Fischinger's papers, nor any correspondence with Korngold about such a project. However a letter was found from Fischinger offering his multiple projector show to the Director of a theatre, and Fischinger writes that this performance will have a score by Korngold. No reviews or reports have been found that he did use anything by Korngold, though he did correspond with a friend regarding how to reach Korngold, and how to propose such a project. Page 58-61. Re Komposition in Blau and the Venice Film Festival. Despite statements about Fischinger working on this film secretly, and that "no German distributor dared to pick up" the film, it was actually registered. The film received a censor permit on May 10, 1935, thus making it legal to screen. See Moritz filmography in this book re censor permit, or Jeanpaul Georgen, "Oskar Fischinger in Germany." Page 110. Re Dockum Mobilcolor. At the 1952 performance by Charles Dockum at the Guggenheim (New York), some footage was shot by Ted Nemeth, who was Mary Ellen Bute's cameraman and husband. We have not found any evidence that Mary Ellen Bute assisted or shot this, or was even there, and this statement that Bute shot the footage is likely incorrect. Dockum worked on other occasions with Ted Nemeth as a hired cameraman. It is however possible that Mary Ellen Bute witnessed the performance or accompanied Ted Nemeth. That 1952 performance footage has been preserved by Center for Visual Music. Page 138. Re the painting here called "Outward Movement." Oskar's original name for this painting was "Manhattan," according to Barbara Fischinger, The Fischinger Trust. No one is certain who attached the name Outward Movement. Oskar did not name many other of his paintings, some names were assigned after his death by Elfriede Fischinger and/or Martina Dillmann. Page 147. Re the Lumigraph. The Lumigraph did not appear on the Andy Williams TV show as stated. Representatives from the show visited Fischinger's studio but decided the Lumigraph was not bright enough to be filmed. (Source: Barbara Fischinger, Oskar's daughter). Page 164. Testimonial from Alexeieff and Parker: Film historian Cecile Starr has relayed that Alexeiff's daughter disputed this account (to Starr directly), claining this was not how they met. Radical Light: Alternative Film & Video in the San Francisco Bay Area, 1945-2000. Anker, Geritz and Seid, Eds. Page 110: Jordan Belson confirms he did not use oscilloscopes for the effects in his film Allures (1961). He did use interference pattern projectors. Later in the book, the date for the film Cycles is incorrect, it should be 1974, confirmed by Steve Beck, the co-creator of this film. Lund, Cornelia and Holger, Eds. Audio.Visual - On Visual Music and Related Media. 2009. Page 258-9. "...Other experimental film directors - Oskar Fischinger, Hans Richter, and Viking Eggeling, for example, pursued similar forms of collaboration with composers in the early 1920s, but most of the resulting original music has been lost over time." Oskar Fischinger's papers contain no references or information about such collaborations. Original music was not composed for Fischinger films until much later, well beyond the 1920s. This statement may be a reference to Alexander Laszlo's mid-1920s performances, and his brief collaboration using a reel of Fischinger's abstract films; but he did not compose music for Fischinger's film(s), and his music is well documented. In the mid to late 1920s Fischinger performed multiple projector shows to various live percussive accompaniment; this seems to have been accompaniment, there is no record of his commissioning any specific score. (See Korngold reference above, in Optical Poetry section). In the 1930s we do find letters exploring such a concept, which was not realized. Frank, Peter. MidCentury Modernists in LA Weekly, 8/22/07. "Several pioneering L.A. abstractionists were active in the animation studios; Jules Engel, in fact, replaced Oskar Fischinger at Disney." This is incorrect; the two artists met each other while working on Fantasia, during the same time period. They became lifelong friends. (Sources: William Moritz, Barbara Fischinger, Jules Engel). Brougher, Kerry et al. Visual Music: Synaesthesia in Art and Music Since 1900 (2005). Page 125. Re Fischinger's ornament sound experiments - he didn't photograph long scrolls, the scrolls were used for faked publicity photographs so that his competitors couldn't learn his techniques. (Sources: William Moritz, Elfriede Fischinger in various articles; and Moritz's Optical Poetry). Page 133. The Whitney triple screen film is described here as John Whitney Jr.'s "1965 triple-screen film Side Phase Drift." But Gene Youngblood, in his 1970 Expanded Cinema, wrote of Whitney's "now famous, triple-screen film that remains untitled" and notes it premiered in 1967. Stills from the film in the Expanded Cinema book also carry the caption "John Whitney, Jr. Untitled, 1967." We do not believe this to be an error by Brougher. Foye, Raymond. The Alchemical Image, in “The Heavenly Tree Grows Downward” ex. catalogue (2002). Oskar Fischinger began making films in the early 1920s, not 1930s as stated. Fischinger left Germany in 1936, not 1933. Fischinger's Lumigraph is not a "color organ." Author states that Fischinger "had developed elaborate procedures involving chance operations in his works" but does not provide supporting examples or evidence. In fact, Fischinger carefully planned his complicated animated films in advance, a necessity for producing such animation on an extremely tight budget.